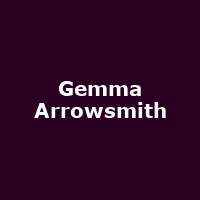 Gemma Arrowsmith is a British comedy writer, actor and sketch performer. In 2015 she hosted her solo show, "Everything That?s Wrong with the Universe" at the Edinburgh Fringe. Gemma has appeared in the TV shows: Merlin, Hustle, Home Time, Charlie Brooker?s How TV Ruined Your Life, Spy, Paul Whitehouse?s Nurse, Two Pints, Dead Boss and more.